For your consideration today, we have a pair of antique early Victorian side lace boots or shoes. 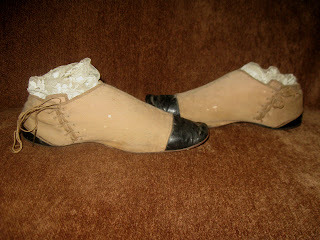 The uppers are made of fabric, and the toe area and the heel are black patent leather. 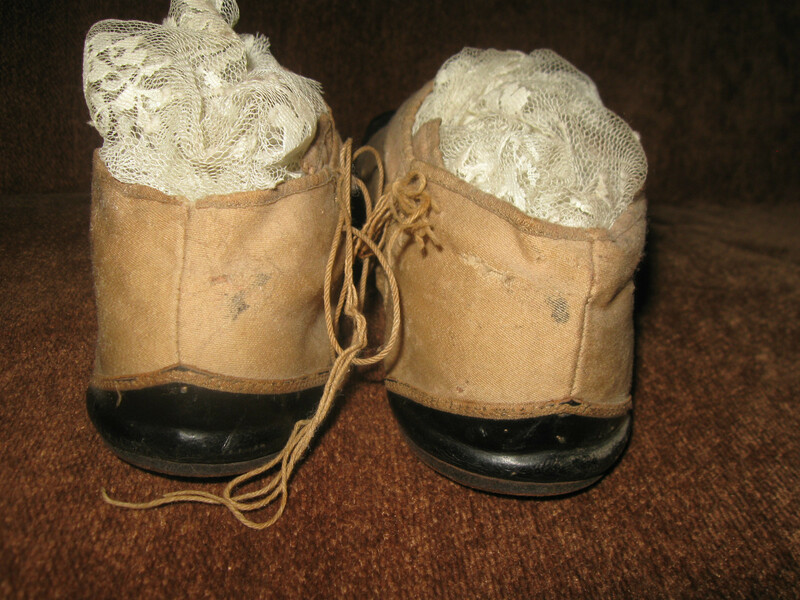 One lace has a metal tip, and the other three are missing. 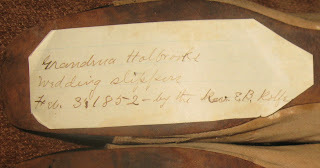 There is a note taped on one shoe that states GRANDMA HOLBROOKE WEDDING SLIPPERS FEB 3 1852 BY THE REV E B ROLFE. 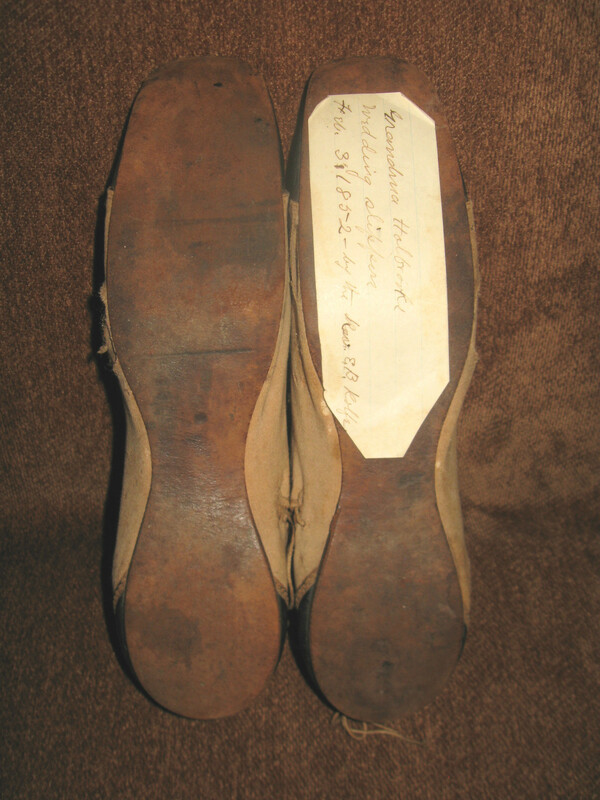 The soles are straight soles with no left or right swing. The shoes are in fair condition, with a lot of wear to the fabric, many holes and insect bites, and all over general wear. 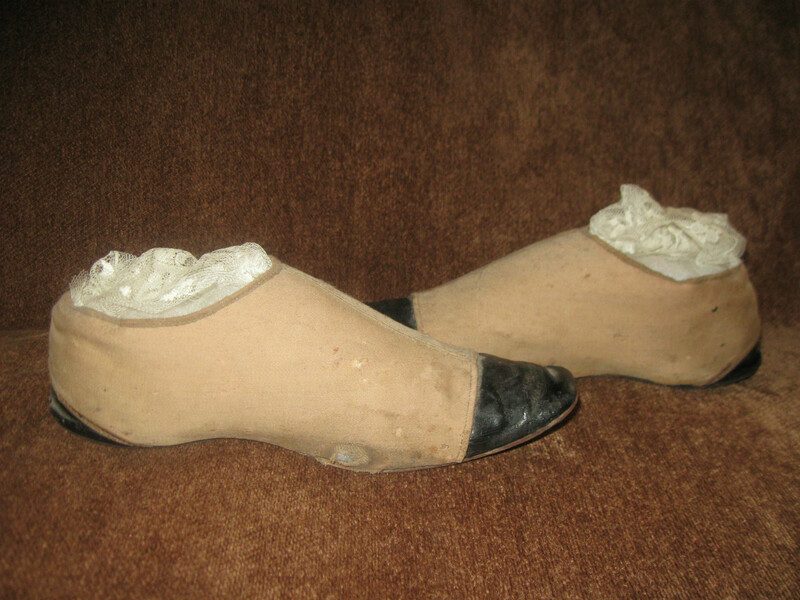 As with all shoes of the era, these do not have a size in them, so please do not ask me to guess what size they are, I don't know, and I don't want to guess, so I have provided the following measurements so that you may decide if these would work for you. 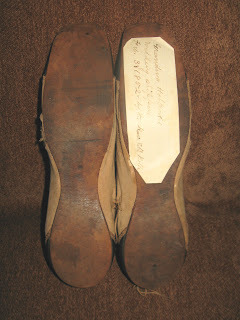 When placed up against a wall, and measured from the outside, where the heel of your foot would sit, to the tip of the toe, they are over 9 1/2 inches long, and the width of the sole at the widest part is over 2 1/4 inches . 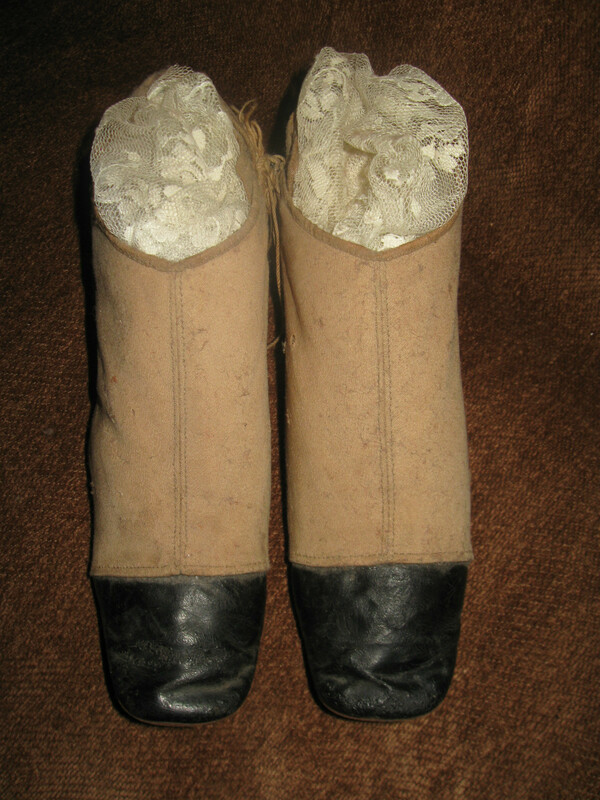 Please do not ask me to remove the stuffing to get an interior measurement. The shoes have been stuffed for years, and I do not want to remove it. Although the overall styling is earlier, the two tone affect does look mid-century to my eye.